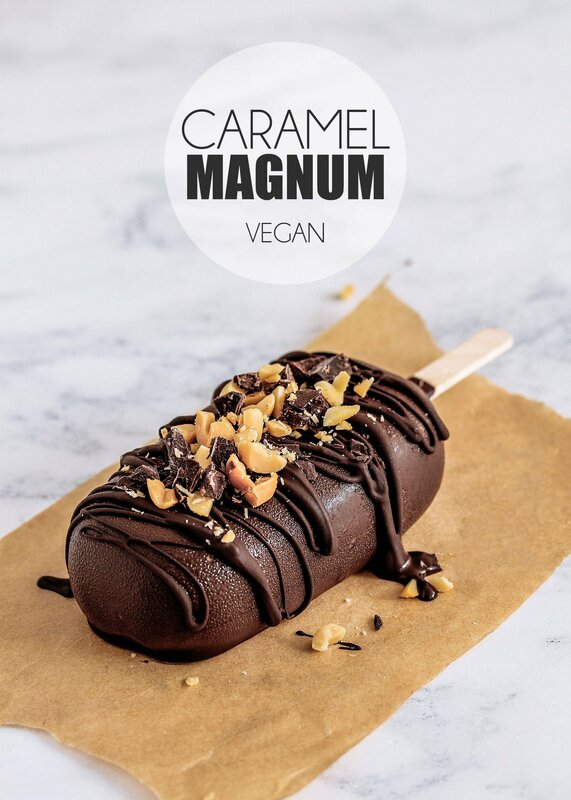 If this UK heat isn’t a good excuse to make my own homemade version of Magnums, then I don’t know what is! Not that I need an excuse to make any form of ice cream. I welcome ice cream any time of the year, but I definitely crave it a lot more when it’s scorching hot. So hot that even having a fan facing me at all time doesn’t really do much to stop the sweating. The recipe is really simple and quick to whip up. I was considering creating a date caramel using whole dates, but then thought it’s probably best to avoid extra steps and opted for a simple 2 ingredient caramel that you can make by literally mixing two ingredients in a bowl – tahini and date syrup! And I know I won’t stop creating recipes with these two amazing flavours anytime soon! Chill the tin of coconut milk in the fridge for 8 hours or overnight. The coconut cream will solidify and separate from the milk. Scoop out the solid coconut cream (about 1/2 cup) and place it in a blender along with the rest of the ingredients. Blend until smooth. 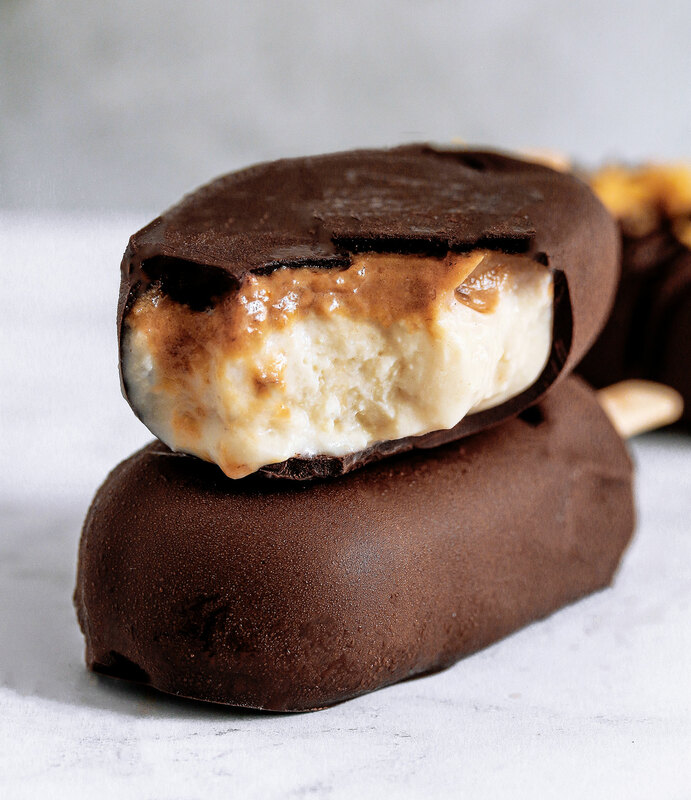 Pour into ice cream moulds – fill them up 3/4 of the way ensuring you have room at the top to add the caramel layer. Freeze for 4 hours. To make the caramel layer – mix together the tahini, date syrup and salt. 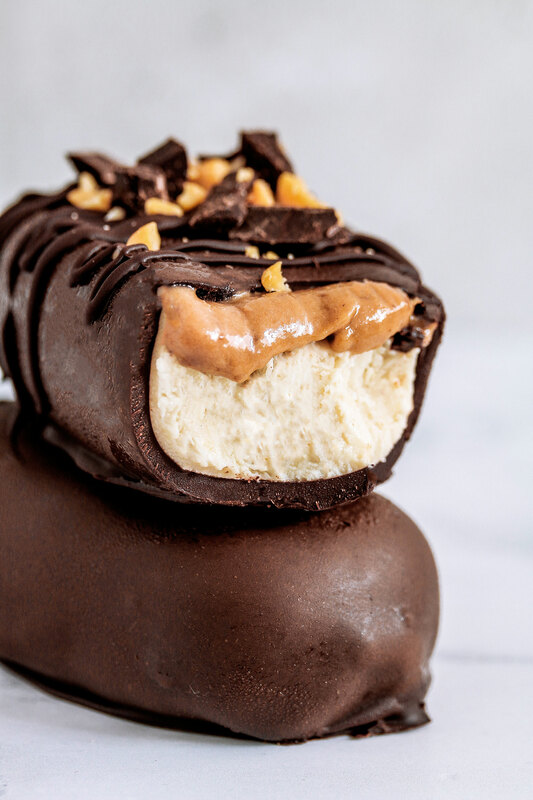 Once the ice cream has set, take the moulds out of the freezer and spread the caramel layer into the remaining 1/4 of the moulds. Return to the freezer until the caramel layer sets. 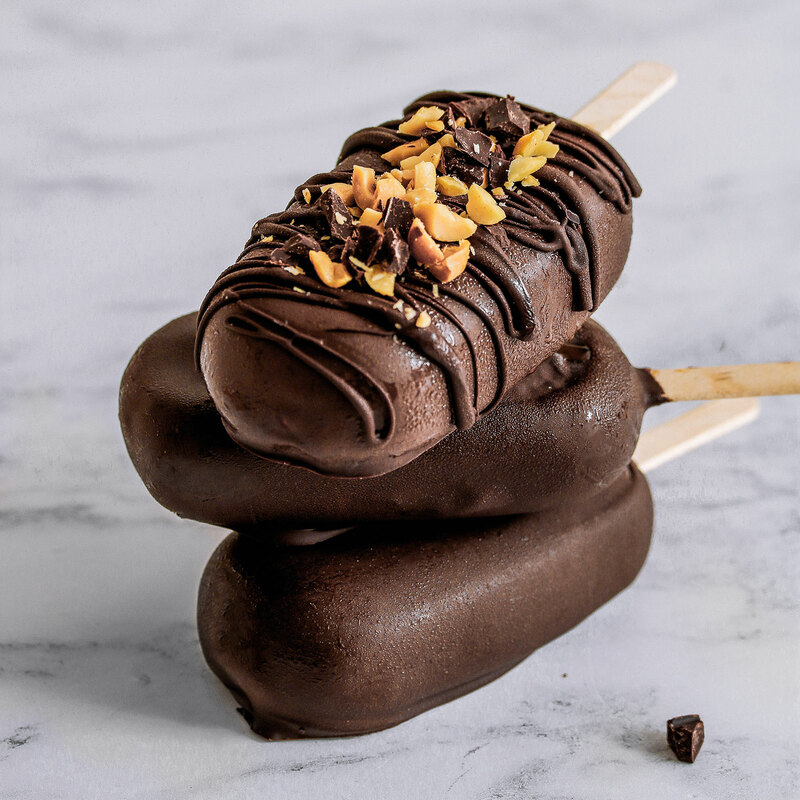 Melt the chocolate – you might have to melt more chocolate than you need to coat the magnums. 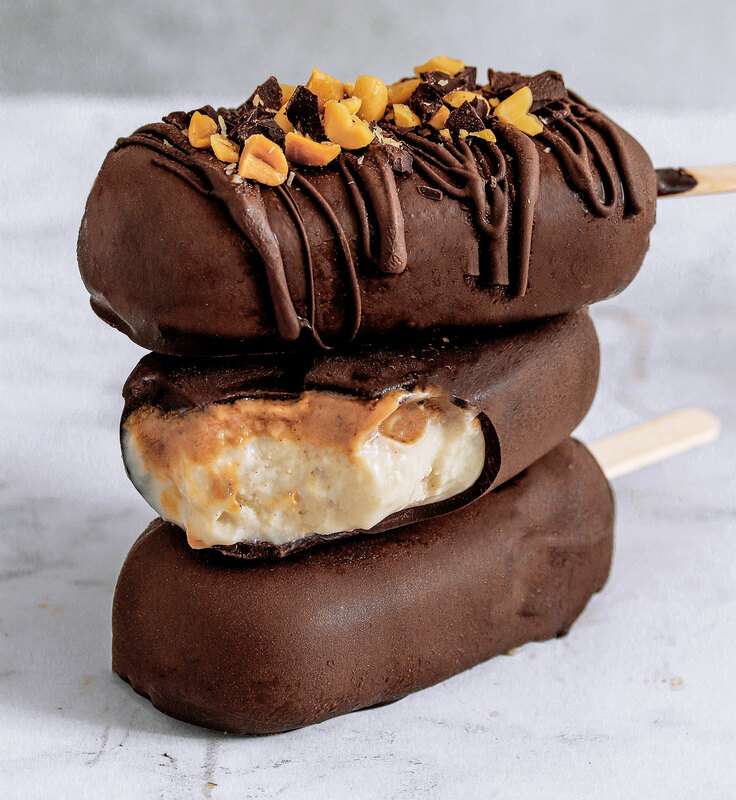 I like to pour the melted chocolate into a mug and dip the magnums in (make sure you only fill the mug 3/4 or else the chocolate will overflow!). 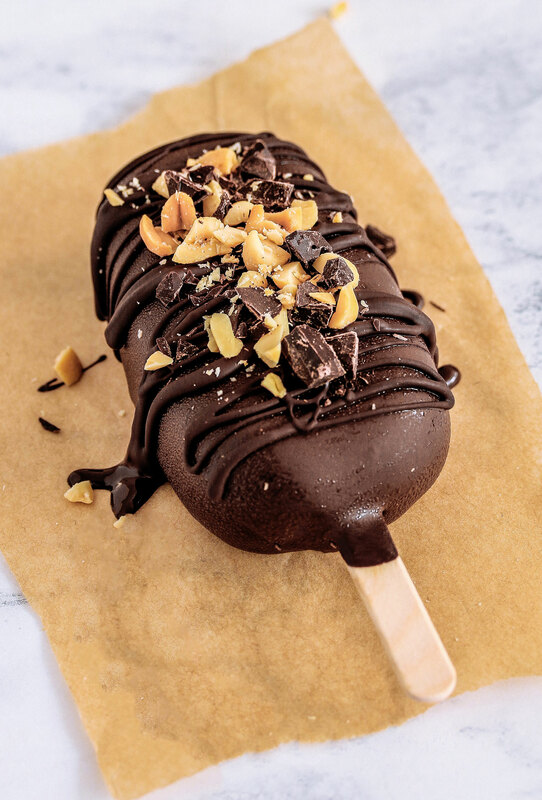 Once the magnums are fully coated, place them on a chopping board or baking sheet covered with parchment paper. 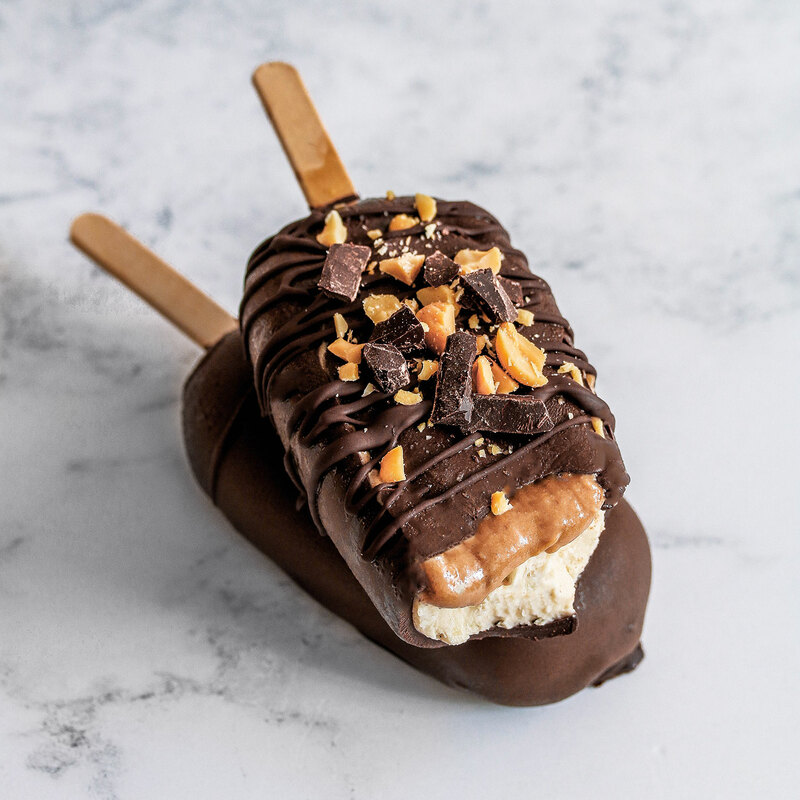 The chocolate should set fairly quickly since the ice cream is cold, but you can return them back to the freezer to speed up the process or if you’re not ready to serve them yet. This looks PERFECT! So refreshing and glorious for a midday treat. I wish I carried something like this when I went to Disneyland because the weather was literally boiling outside. 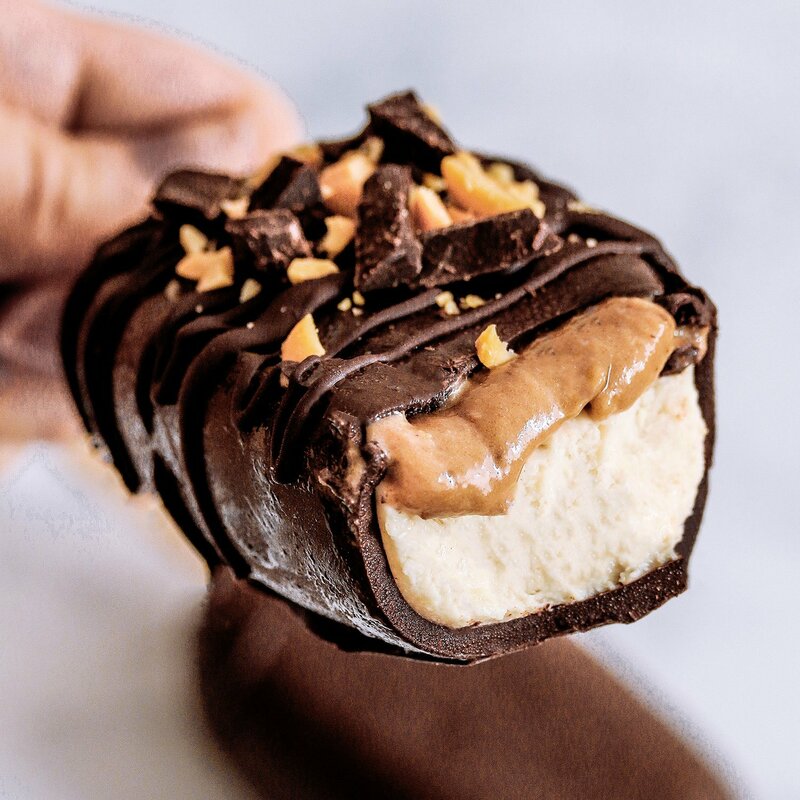 We’re going through a heat wave in California right now, so I might just need that as an excuse to whip up these magnums! 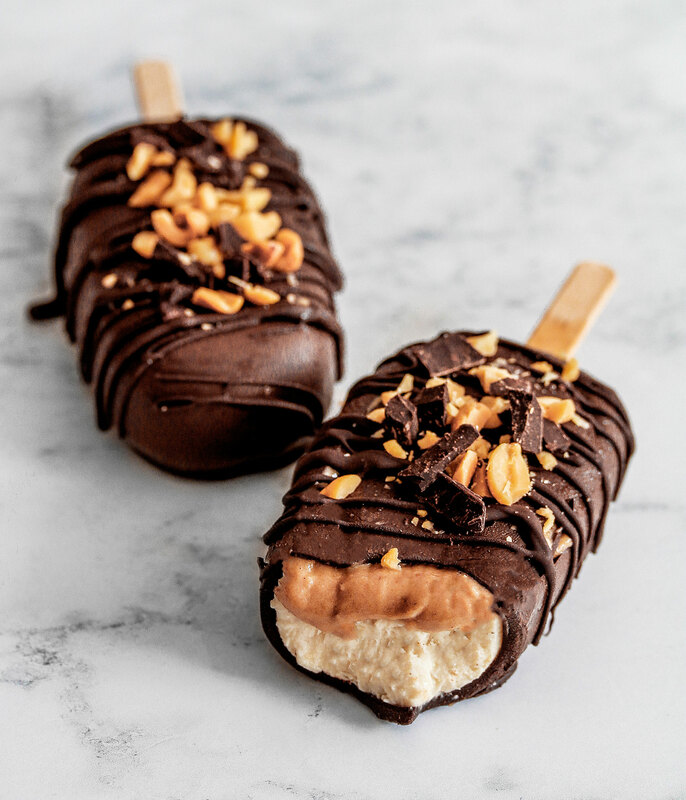 I don’t quite have the same popsicle moulds, but hey, I could always use ice cube trays as mini ice cream bites! Can you please specific an approximate measurement of solid coconut cream.